Elder Michael and Sister Shauna Theobald have recently completed 13 months as senior training missionaries at the Polynesian Cultural Center and returned to their home in Orem, Utah. While volunteering here this time, they conducted leadership training for full-time staff and helped with orientation for new PCC employees. He had also previously conducted management training at the Center on eight other occasions. It’s an understatement to say that Elder Theobald is a highly skilled trainer. He graduated from BYU in 1976 with a master’s degree in the relatively new discipline of organizational behavior. “While there, I had the opportunity to be Steven R. Covey’s graduate assistant when he was writing The Seven Habits of Highly Effective People,” he said. He then spent 36 years working in that field — the last 28 of them at headquarters for The Church of Jesus Christ of Latter-day Saints. For 13 years during that time he was the worldwide Director of Organizational Development and Leadership Training. He reported to the Managing Director of Human Resources, who reported directly to the Latter-day Saint First Presidency and the church’s human resources committee, and he logged more than a half-million air-miles in carrying out his duties. “One of the main expectations of the training is that the full-time staff at the PCC will then mentor and train the hundreds of part-time student employees on the job at any given time. We’ve had a lot of really good success,” he said. 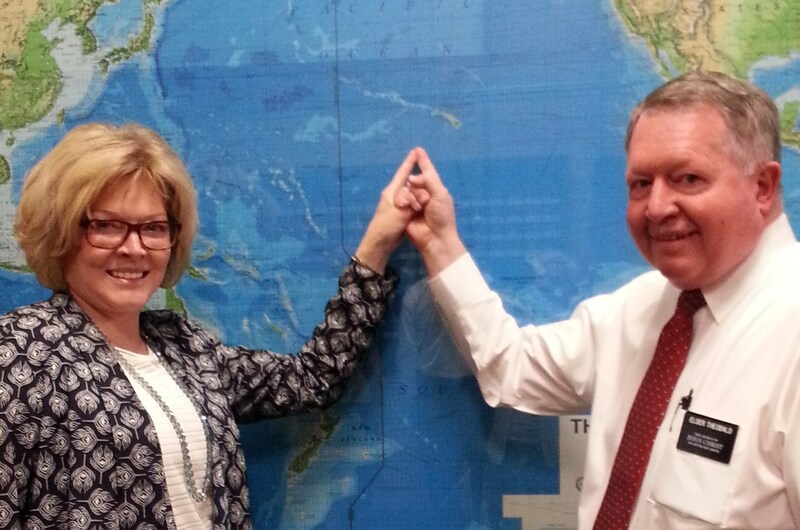 “I was 14 years old, and that was the first time I came to Hawaii,” Elder Theobald recalled. He explained that after his uncle had accepted a banking job in Honolulu, he invited him, his mother and grandparents to spend the summer here with his family. 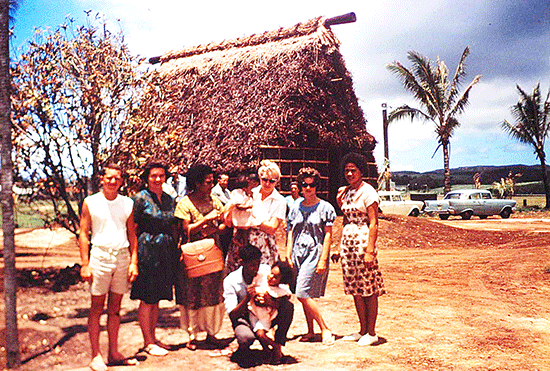 Theobald with family and friends at the Fijian Village when it was still under construction. Elder Theobald said even his mother and father, Paul and Dorothy Theobald who served as senior missionaries here in 1993-94, have contributed their time and talent to the changes. 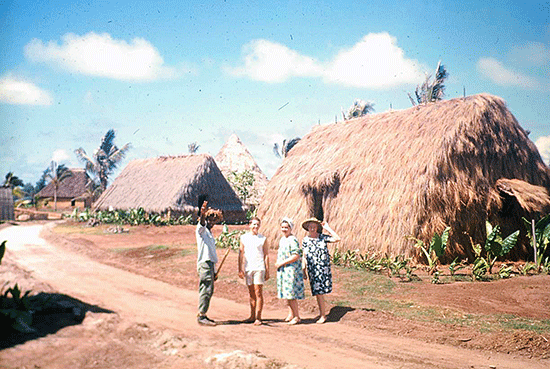 Future Fijian villagers prepare for the Polynesian Cultural Center’s opening in 1963. 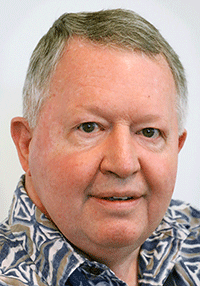 “The aloha spirit of the people is still the same here,” Elder Theobald said. “It’s still here. “We have tremendous leadership at the PCC. President [Alfred] Grace is an amazing leader. He’s surrounded himself with the best people. I see nothing but the best coming from the PCC for years to come,” Elder Theobald said. In fact, he added, he and his wife are “open to returning to the Center again” as volunteers. Story by Mike Foley, who sometimes goes by the Hawaiian/Samoan name Mikaele, has been a full-time freelance writer and digital media specialist since 2002. He’s had a long career in marketing communications, PR, journalism and university education before that. He learned to speak fluent Samoan as a Mormon missionary before moving to Laie in 1967 — and still does. 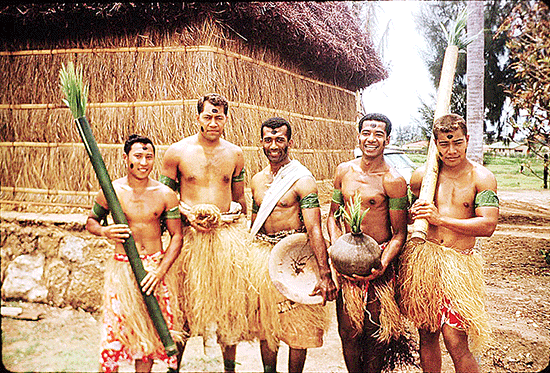 He has traveled extensively over the years throughout Polynesia, other Pacific islands and Asia. Foley is mostly retired now, but continues to contribute to various PCC and other media. I’m sorry that we do not find any pictures with those names, but have you tried the Polynesian Cultural Center’s 50th Anniversary website? There is a marvelous section made up of photos, videos and memories from our many current and former employees. Go look at: http://pcc50.com/scrapbook-your-memories.html. Best of luck!